The truck was traveling on Interstate 95 from Florida to Massachusetts when it was robbed in North Carolina. 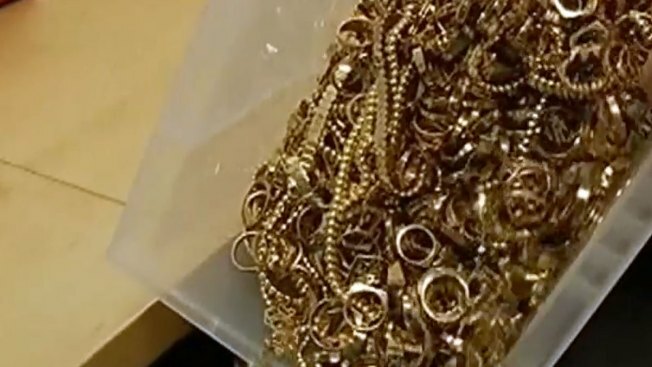 Armed robbers stole $4 million in gold on Sunday from a truck traveling north along Interstate 95 from Florida to Massachusetts, authorities said Monday. The two security guards working for Transvalue Inc. of Miami reported pulling off to the side of the interstate about 6:30 p.m. Sunday after their armored truck began having mechanical problems in Wilson County, the sheriff's office said. Shelley Lynch, spokeswoman for the Federal Bureau of Investigation's Charlotte field office, said agents are assisting the local sheriff and are working to determine whether a federal crime has been committed. In a statement, Transvalue chief executive officer Jay Rodriguez said the gold bars were headed to Attleboro, Massachusetts, a town south of Boston nicknamed "Jewelry City" for the large number of manufacturers based there. The truck carrying the loot had left Miami about 4 a.m. Sunday.